The GAA is Ireland’s largest sporting organisation and is celebrated as one of the great amateur sporting associations in the world. 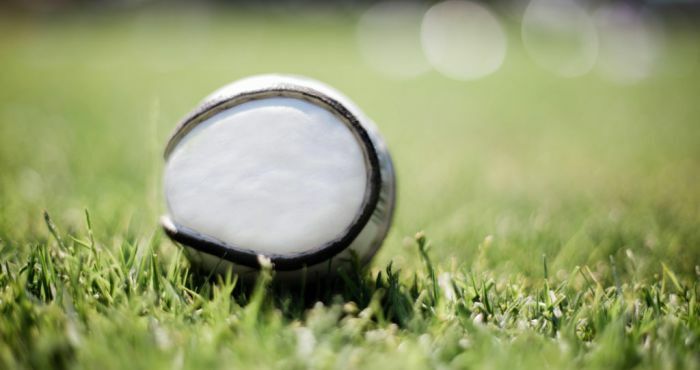 Founded in 1884, the GAA has grown to have over half a million members and has become a major influence in Irish sporting and cultural life with its deep reach into communities throughout the whole of Ireland and also among the Irish diaspora. For many years the GAA has run summer camps – Cúl Camps – for children. The camps involve children in a variety of outdoor sports and games and are designed to foster friendships as well as improving physical and psychological well-being. The GAA had its own ideas on the direction forward. But how could the GAA ensure that the future direction was also influenced by two other groups of important stakeholders – camp attendees and their parents? The GAA asked SurveyGuru to get the opinions of the parents of the attending children. SurveyGuru designed and carried out an online survey of the nearly 65,000 parents of the roughly 145,000 attending children. The survey was designed to probe the parents’ opinions on all aspects of the Cúl Camps – the entire customer experience – how their kids felt about all the elements of the camps but also the parents’ opinions regarding, booking, timing, child welfare, supervision, facilities, etc. Before the survey was sent out it was road-tested to ensure it covered all the bases, was as brief as possible, and was devoid of ambiguity. Once data collection was complete, an analysis of the data was carried out. The results of this detailed analysis were then interpreted and provided to the GAA together with a list of prioritised recommendations. This was not an academic exercise. This was not a tick-a-box exercise. The GAA genuinely wanted to know both what it could and should do differently. 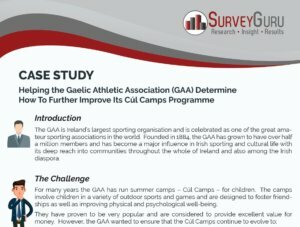 With the project complete, the GAA now has those answers and has already begun to refine the Cúl Camps based on the survey’s results. These changes will be evident in future Cúl Camps.